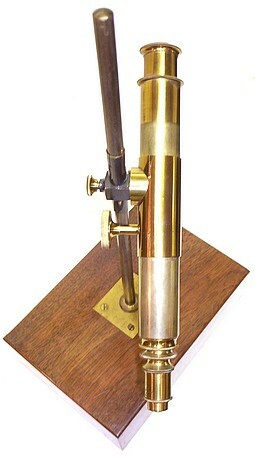 This is part of Highley's Educational Microscope Compendium, c. 1865. 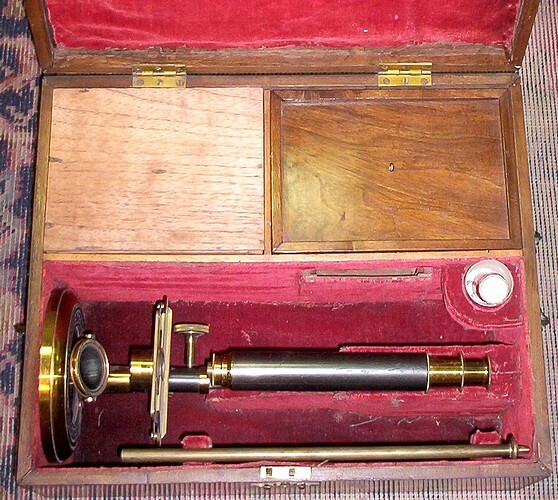 Two microscopes are stored within the main case. 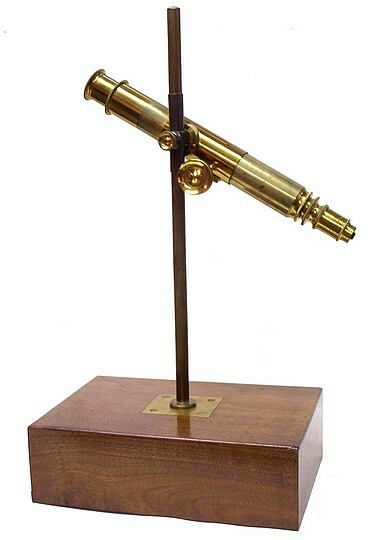 One being Highley's Educational Microscope (see image at the right) having the coarse focus utilizing a fusee chain drive. 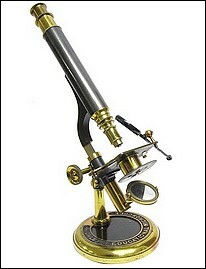 The other microscope being the case-mounted aquarium microscope shown on this page. 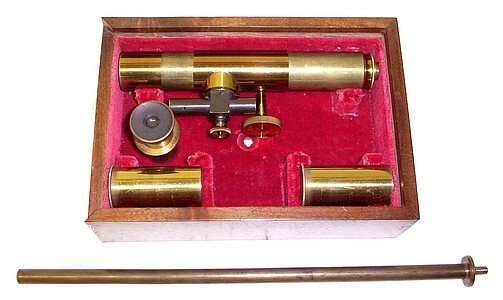 The optical components are interchangeable between each of these two instruments. The remaining section in the storage case houses some slide making tools and slides. This aquarium microscope uses its storage case as the base. 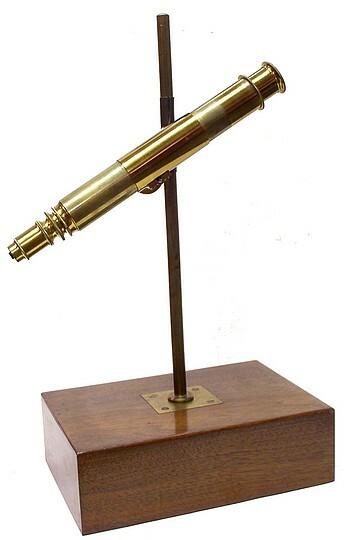 The microscope can slide up and down or can swivel on the post as well as be tipped up or down as needed, thus allowing it to point in any direction. It focuses using an internal rack and pinion mechanism. Samuel Highley (1825-1900) was a London-based instrument maker, publisher, and photographer active from the mid 19th century.